I was browsing my photo albums awhile ago and found that there are some images that were sent by my sisters during their visit in Boracay. I actually downloaded it in my hard drive but never open it yet. I just extracted the pictures and now I am sharing it here. Boracay is considered ot be one of the finest beaches not only in the Philippines but also in the whole world. It was awarded in the "Travelers' Choice 2011" by TripAdvisor as the second best beach (out of 25) in the world. 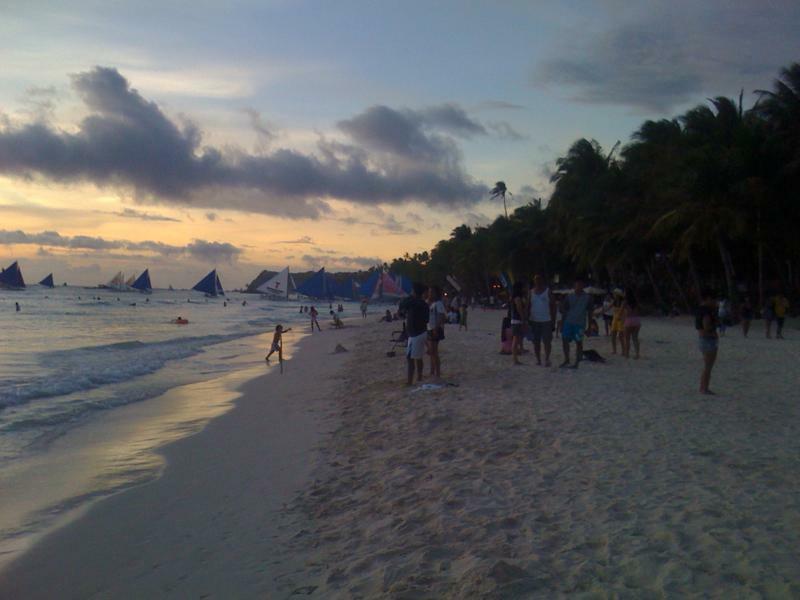 Boracay was awarded in the "Travelers' Choice 2011" by TripAdvisor as the second best beach (out of 25) in the world. I wish to visit Boracay in my next vacation to the Philippines. Wish me luck. Thanks to my sisters for this image. the beautiful white beach in Boracay, Philippines at dusk. This was taken during my sisters' visit last March 2011.